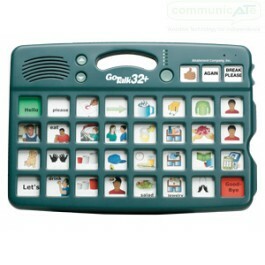 Availability: Due to popular demand and component updates, the GoTalk 32+ is currently unavailable. It'll be back soon, key an eye on this webpage. GoTalk 32+ has 163 messages over 5 levels with 19.5 minutes of high quality recording time. 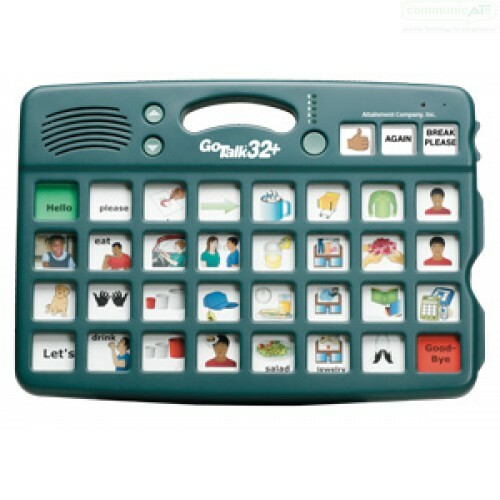 The GoTalk 32+ functions like the GoTalk 4+, GoTalk 9+, and GoTalk 20+ but with 32 messages plus three core vocabulary keys. 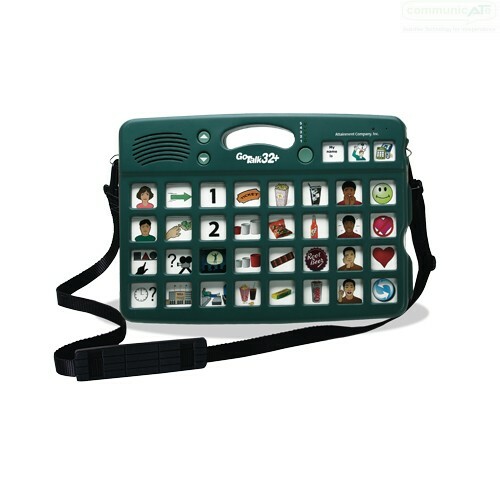 The GoTalk 32+ has five levels, giving this communication tool a 163 message capacity. The message keys record for 10 seconds and the core vocabulary keys record for 17 seconds. Includes a shoulder strap.